We are great friends and hunt with the owners. Made in the USA. 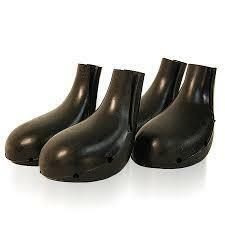 Lewis Dog Boots Vented offers three sizes that cover from small to large dogs. Lewis Dog Boots was founded by Fred Lewis in 1949 in a small back yard shop. The business has been handed down to family and friends but the quailty and need for these boots has remained the same throughout the years. New ownership was taken over in 2017 by L. Devereaux, D. Raines, and J. Smith, hunting buddies that have used and trusted Lewis Boots for years. Double Aero Guides and our dog staff members hunt with the owners in Oklahoma. They are ethical hunters. They love the outdoors, upland bird hunting and especially their dogs. Please take time to watch the video on How to Install Lewis Dog Boots. If you have any questions, please don’t hesitate to email us and we’ll be happy to help you with the installation or how to buy the cohesive wrap and what type of tape. Quality tape will ensure proper adhesion. Cheap tape will get you nowhere and you’ll lose boots in the field. Designed by InkHive WordPress Themes. © 2019 Double Aero Guides. All Rights Reserved.